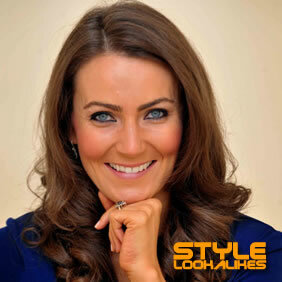 Kate Middleton lookalike. Catherine, Duchess of Cambridge. Wife of Prince William, Duke of Cambridge, Mother of Prince George of Cambridge and Princess Charlotte of Cambridge. Can also be accompanied by Charles and Camilla lookalikes, Queen lookalike, or Prince William and Harry lookalikes.